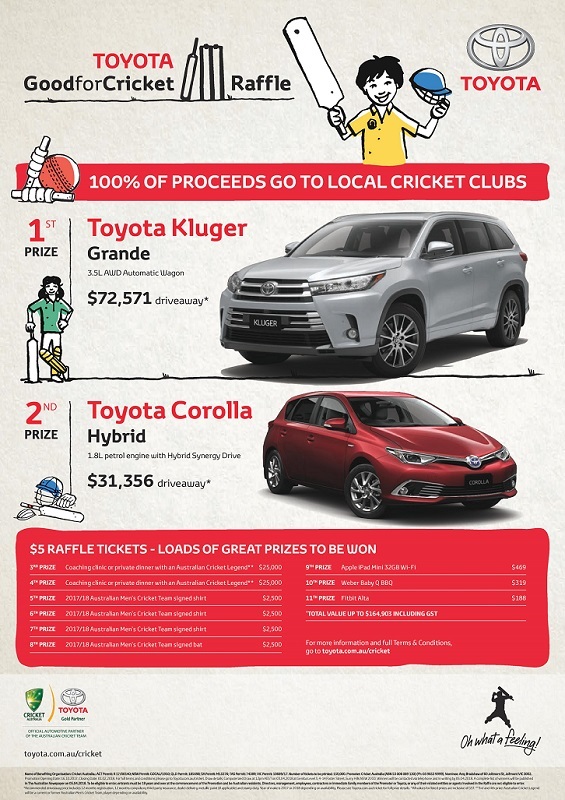 The Toyota Good for Cricket Raffle is happening again this year. Tickets will be available at various locations to pick up, or you can buy tickets from Captains, Coaches, committee members. Buy a whole book or sell them to people you know. All funds sold from the tickets go back into the club and you get a chance to win a Car or two! Stay tuned for more information. Another season is fast approaching, check the details below for pre-season training and also the AGM. Training this year will move to the Hackham Football Club nets, as we are switching location the nets are in need of some TLC, the committee will be holding a working bee on August 26th starting at 10am. Any free hands are appreciated. The AGM will follow the first training session, it is encouraged for all players, club members and parents of juniors to attend for input on club events, discussion and upcoming developments. Junior Training will begin at 11am, and Seniors follow at 1pm. Sunday 10th September @ Hackham Football Oval. Juniors 11am start, Seniors 1pm start. AGM at 3pm with sausage sizzle. Sunday 17th September @ Hackham Football Oval. Juniors 11am start, Seniors 1pm start. 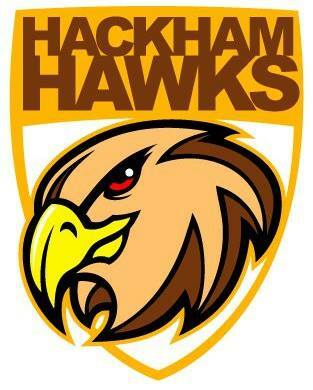 Sunday 24th September @ Hackham Football Oval. Juniors 11am start, Seniors 1pm start. Wednesday 4th October and each Wednesday after for training, following school and work commitments. Andrew Langton, Peter Richards, Neil Johns, Nayland Jolly, Chris Buttfield, Michael Miller, Jason Seymour, Graham Lounder, Adam Broadbent, Gary Wybrew, Rick Foster. 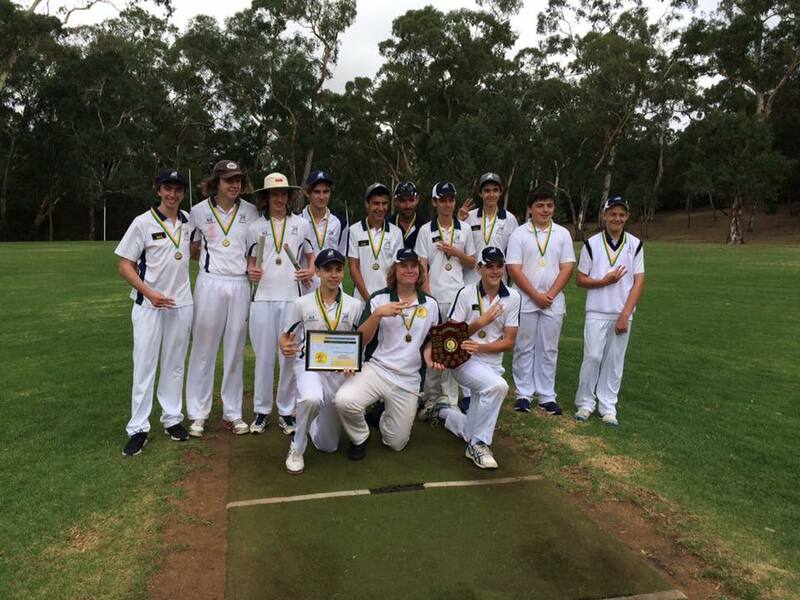 Under 16’s – 2016/17 SCJCA Premiers! The Under 16’s side recently took out their third Premiership win in a row with a thrilling match vs the Coromandel Ramblers. The Ramblers were bowled out needing only 3 runs to reach the Sharks score. Congratulations to the Under 16’s on winning another flag! The Club recently pushed through two Bunnings BBQ Fundraisers recently. One at the Bunnings Seaford store, and again on December the 18th at the Bunnings Noarlunga store. Both days were successful for the club in raising funds. The ICC Sharks would like to thank Brumby’s Bakery for their donation of bread to the club. The club would like to thank volunteers Peter Richards, Ken Aberle, Richard Gray, Russell Trembath and Jess, Jason Carne, Gary Wybrew, Michael Todd, Brenton Forsyth, Michael and Glenda Noack, and Neil Hodgson. The club would also like to thank Daniel Lowe for his hard work in helping with donations from On The Run/Brumby’s each time we have a fundraiser. A new season is fast approaching for the ICC Sharks, and with that comes pre-season training and an AGM. See below for Senior Training Dates and the AGM. Leanne (Junior Coordinator) will follow up with dates for the juniors soon! The AGM is welcome for all to attend, several topics will be discussed. Fees, voting of committee members etc. This year the Senior ASCA competition will be following a 7+7 format, of 7 one-day games and 7 two-day games throughout the year. It would be great for any of those who have any concerns to raise to come to the AGM and discuss with other players and committee members. Sunday, September 11th @ 2pm – First Senior Training at Wirreanda High School, followed by AGM at Hackham Football Club at 4pm. A new season of cricket is fast approaching the club. Activity is happening within the senior and junior associations in regards to playing dates and teams. We are coming off a great season of cricket where the ICC Sharks took out two Senior and one Junior Premiership, and we are looking to add more to that with the new season coming. We are putting out a message that if there are any past players, or new players that may be interested to contact us for the upcoming season. Please do so by contacting the club secretary that you are interested in playing, or may have someone that’s interested. SACA are also pushing Girls in Sport, so if you have boys and girls at home who love cricket, they are more than welcome to join the ICC Sharks in our Junior and/or Senior ranks. Stay tuned for more information in regards to pre-season training dates, teams and season dates, and also when the club will hold it’s A.G.M. The club is also looking for anyone interested to volunteer to be a Child Safety Officer, if you, or anyone else you know may be interested. Please get in touch for details on course details asap. Late in December 2015, Rick Foster sat down with the Australian Cricketers Association, and had a quick chat about his leg-spin bowling, the club, and what it was like bowling to some of the best batsman in world cricket today. Check out the YouTube video below.